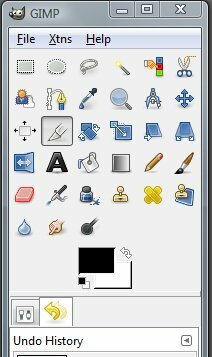 Go to www.gimp.org and click on the ‘download’ button. 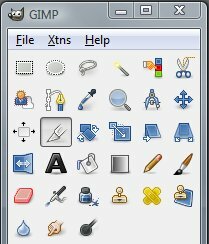 On the Download page, click on the link that reads ‘Download GIMP 2.4.7’ (or whatever the latest version is). Follow the instructions to download and install the program just like any other software you download. There are about 30 icons in this panel. Clicking on each of them will bring up a tool with a particular function, but you will only need to use a handful of these in order to retouch photos. 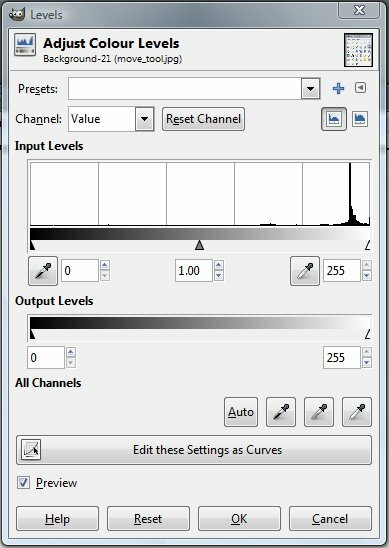 Most of the tools have lots of settings and options that you won’t need to bother with. 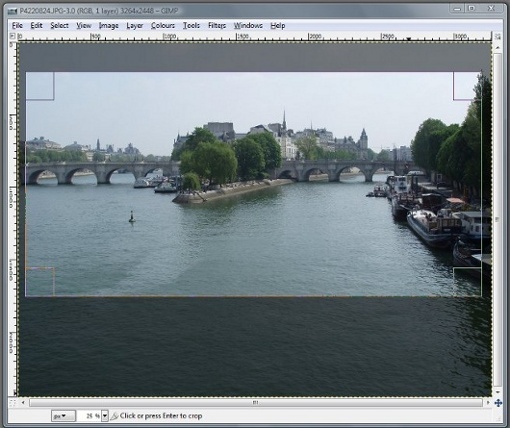 Move the main panel to one side of your screen to create some space, and click ‘File’ then ‘Open’. Choose an image to work on. Some of the changes you make to an image can be undone, but some can’t, so the first thing to do is make a copy of the image. I learned that the hard way! 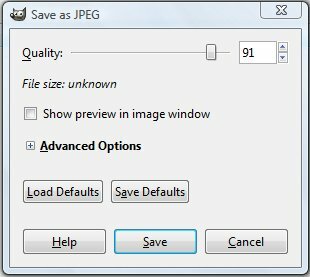 Using the controls above the image (not those on the main panel), click ‘File’ then ‘Save As’. Give the image a new name and save it on your computer. You will notice that the image on your screen is probably not at full size. 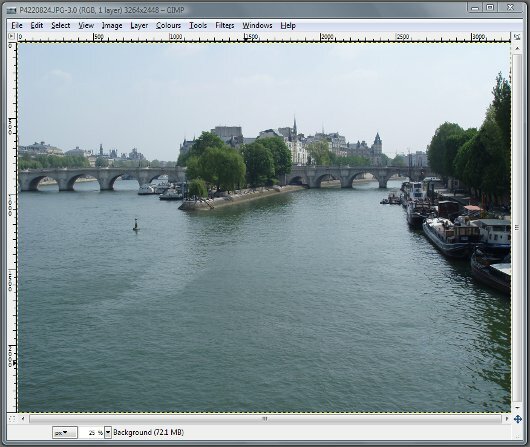 This is because the program has automatically adjusted the zoom setting to fit the space available. When working on the image, you may find that you prefer a different zoom setting. Go to ‘View’ then ‘Zoom’ and choose a setting. The various zoom settings are just for your convenience when working on the image; they have no effect on the actual image. or a list of any changes you have made to the image. You can move between these two things by clicking either the yellow twisty arrow (for the ‘undo history’ option) or the icon next to it (for the detailed settings). The ‘undo history’ option is the more useful. There’s a bit too much sky, and far too much river (it’s the Pont Neuf in Paris, in case you were wondering). You can adjust the area by dragging the sides or corners. To crop the image, click inside the area you selected. Each time you change the image, a record will appear in the ‘undo history’ in the bottom half of the main panel. You can always undo what you have done by clicking the small yellow arrow at the bottom of the main panel. An image straight out of the camera will usually benefit from some adjustment to make the colours stand out more, or to make the image lighter or darker. The only thing you need to worry about on this screen is the ‘Auto’ button near the bottom. Click it and you will see the image change. You can always undo this if the effect is not what you are after. Move either of the slider controls and you will see the image change. Of course, you can adjust the image any number of times to get it right, and use the ‘undo history’ feature if you change your mind. 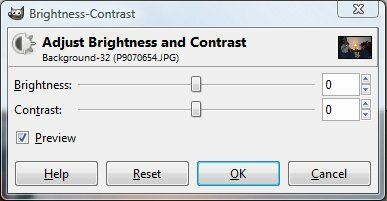 If you need both to crop an image and alter the brightness or contrast, it’s best to crop it first, so that the overall brightness and contrast aren’t affected by any areas you later remove. I find that images of people taken indoors with a flash often need to have their brightness and contrast increased. The technique I use is to adjust the brightness first, to get the skin right, then increase the contrast to put some life back into the picture. The size of an image is usually measured by the number of pixels it contains. Images straight out of the camera will normally be more than a thousand pixels wide and high. A computer monitor, however, is rarely big enough to accommodate that many pixels, and most web pages will have a maximum width of only a few hundred pixels. 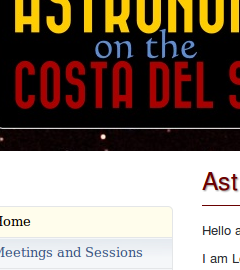 So an image for a website will usually need to be reduced in size. The same goes for any image you want to send as an email attachment. On the other hand, if you want to have a print made from an image, it’s best to keep the file size large, to preserve as much detail as possible. Select an appropriate width or height. Click the ‘Enter’ button on your keyboard and the other dimension of the image will be adjusted automatically. Click ‘Scale’ to resize the image. I generally use a maximum width of 700 pixels and a maximum height of 600 pixels for website photographs, but that’s a matter of personal taste. Once you have scaled the image, you may want to adjust the zoom setting to see how it looks. Go to ‘View’ then ‘Zoom’ and choose a setting. The program will suggest a quality setting (in this example, it‘s 91 out of 100). The suggested setting is usually appropriate for photos that are going to be viewed on a computer, either from a website or as an email attachment. Of course, you can try other settings to see what suits you. 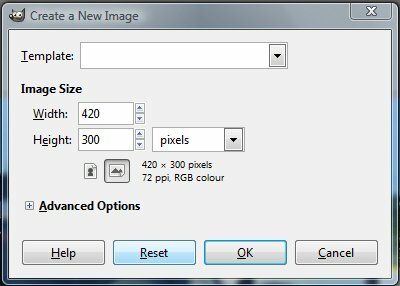 If you are planning to make prints of the image, however, you should move the slider to 100, to save it at maximum quality. Most commercial photo printers (and especially machines) only deal with standard sizes of prints. 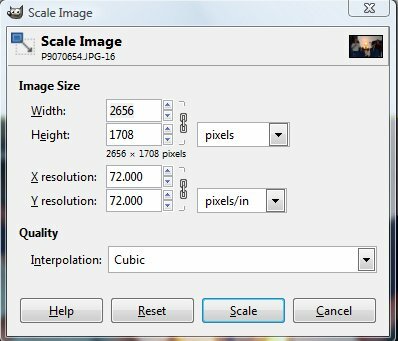 If you have cropped the image so that its proportions have changed, you will often find that printers will make it fit their standard sizes by cropping it again rather than adding a blank area to fill it out. Work out how big the blank background image needs to be. Let‘s assume that your cropped image measures 3000 x 1750 pixels. The larger side will remain at 3000 pixels, and the smaller side will need to be three–quarters of this, which is 2250 pixels. So for this example you would need a background image measuring 3000 x 2250 pixels (because 3000:2250 is the same as 4:3). 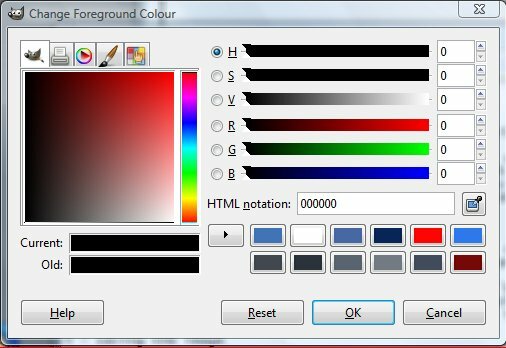 Choose a colour by clicking anywhere on the coloured areas on the left. When you are happy with the colour, click ‘OK’. Fill in the dimensions you require, then click ‘OK’. Now you have the background to your final image. Go to your cropped image, and copy it by right–clicking over it, and selecting ‘Edit’ then ‘Copy’. Now simply drag the main image over the background image until it’s in the right position. Finally, and most importantly, to make a usable final image you need to combine the two images. Click ‘Layer’ then ‘Anchor Layer’. And there you have it — your cropped image is on a base that’s the right shape to prevent the printer cropping it again. You can always trim the extra edges from the finished print using scissors. 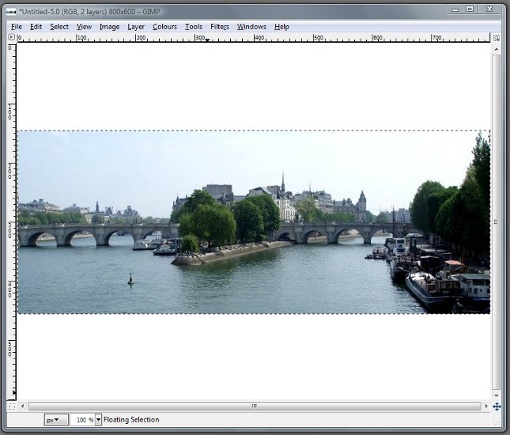 You can also use this technique to create a border all around the image. There’s a full online instruction manual at http://docs.gimp.org/2.2/en/. Do plenty of experimentation before starting on an image that matters. Most of these techniques will need a bit of practice to get the best results. As with most computer programs, there is usually more than one way to do something. 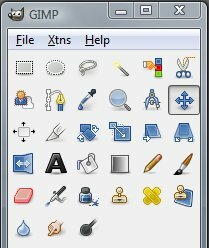 For example, instead of clicking on the icons in the main panel to get to the various tools, you can click on ‘Tools’ above the image.